Seven day black and white photo challenge : Oh my Lord !!!! Day Six of the Black and white photo challenge and today , I went to the top of a local Hill, Carrigmaclea in county Tipperary. The light was amazing and perfect for black and white images. At the top of the hill as you can see there is a cross that was erected by people from a local church back in 1958 which was apparently a holly year. This entry was posted on November 9, 2017 by nigel borrington. 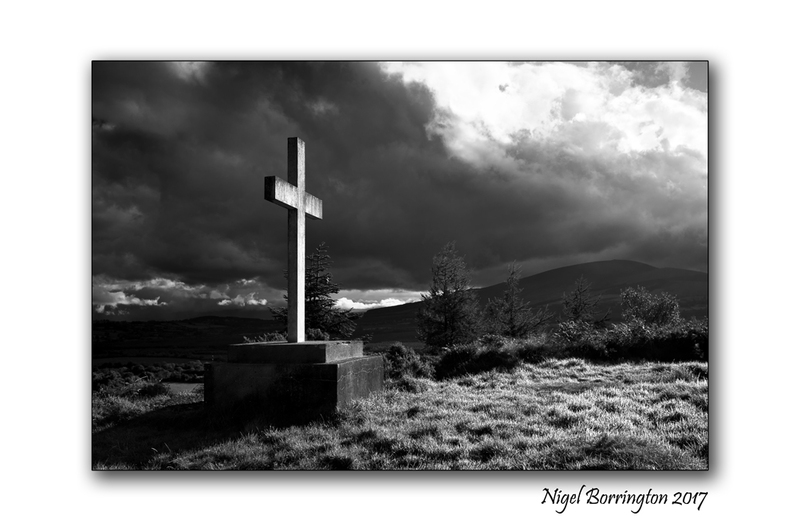 It was filed under black and white, Gallery, Landscape, Nigel Borrington, Slievenamon and was tagged with black and white photography, Carrigmaclea hill, George Harrison, Ireland, Landscape Photography, Nigel Borrington, Photography challenge, Tipperary.